Laserfiche, a leading provider of enterprise content management (ECM) solutions, announced today that CRN®, a brand of The Channel Company, has given the Laserfiche value-added reseller (VAR) program a 5-Star rating in the 2017 Partner Program Guide. The rating, which the Laserfiche VAR program first received in 2003, recognizes elite companies that offer best-in-class features for their channel partners. In the past year, Laserfiche introduced a model for digital transformation that Laserfiche VARs can leverage to better target and customize their services for specific customer needs. Laserfiche also continues to make significant investments in its VAR program, extending the traditional reseller onboarding service to cloud solution providers. 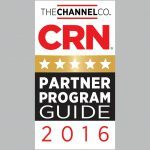 The annual CRN Partner Program guide is the definitive listing of partner programs from technology vendors that provide products and services through the IT channel. 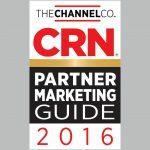 The 2017 Partner Program Guide is in the April issue of CRN and online at www.CRN.com/ppg. To learn more about the Laserfiche VAR program, visit www.laserfiche.com/var/.